Paula Redman was enjoying her break last Monday morning at the Oro Valley Community and Recreation Center when she heard shouting outside and the mention of an AED, or Automated External Defibrillator. Her attention piqued, the lifeguard and former EMT exited the fitness center with the device in-hand and was immediately drawn into a situation which would put her training to the test. The incident started a few minutes earlier, when tennis coach Carlos Bermudez was conducting lessons with one of the center’s members, Steven. The two men were going over form and technique drills. Bermudez said he first thought Steven was having a seizure, though when he turned the man over realized it was more likely a cardiac issue. Bermudez said he intiated CPR, called for an ambulance and asked other nearby staff to retrieve an AED from the fitness center. By the time Redman reached the tennis court and grasped what was happening, she said there was only one thought running through her mind: Getting the heart started. As Redman was finding the beat, community center manager Kevin Marts was making his way onto the facility for the start of his day. Even though the first responders were responsible for delivering Steven to the hospital (where it was confirmed he’d at one point flat lined) Marts said the swift actions of both Redman and Bermudez and other staff were integral to the effort. 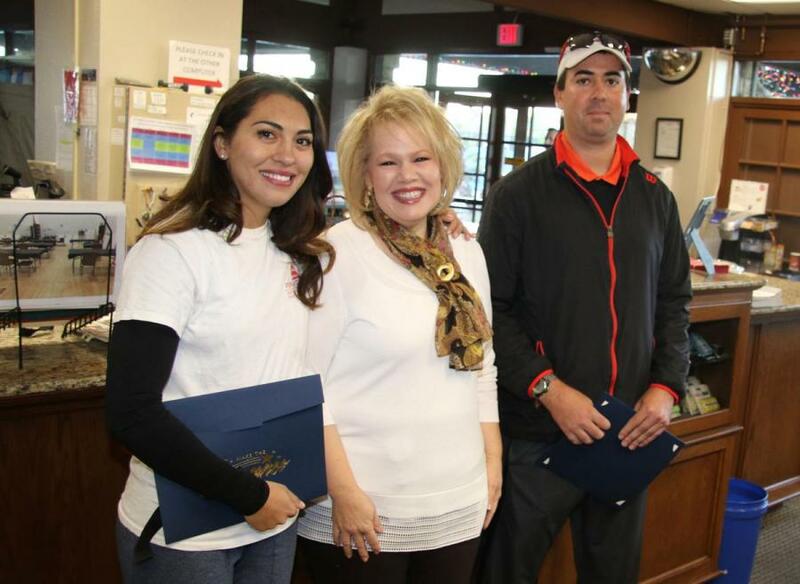 For their efforts last week, Bermudez and Redman were recognized by Oro Valley Town Manager Mary Jacobs alongside Oro Valley Police Department Deputy Chief Aaron LeSuer, Commander Jason Larter, City Council members Lou Waters and Bill Rodman, and El Conquistador Golf & Tennis General Manager Tom Meade at the fitness center. The duo will be recognized by the entirety of council next month.